Superior International Motorplex. 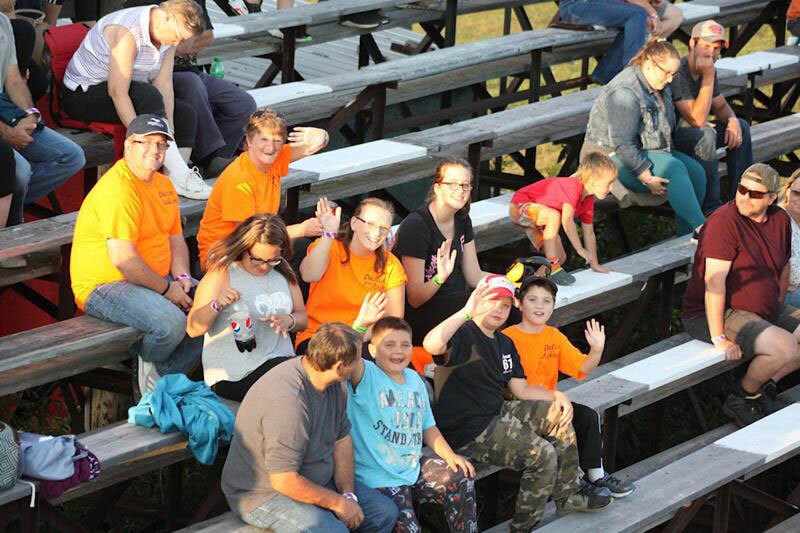 photo courtesy Superior International Motorplex August 23rd, 2018 album. Laird Township— Sept 11, 2018 — Superior International Motorplex (formerly known as Laird International Raceway) will be holding the Northern Stars Invitational this coming weekend, Friday Sept. 14th and Saturday Sept. 15th, 2018. The weather forecast for the weekend looks fantastic, but if needed, Sunday Sept 16th will be our raindate. This will be the final event of the season at the track and it will finish with some “BANGS” that you won’t want to miss! Great Lakes Bus Tours Factory Four divisions. Friday Racing action will be followed by two School Bus “Heat Races”. Main grandstand gates open on Friday at 5:30 pm, with qualifying beginning at 6:00 and opening ceremonies at 7:00 with racing right after that. The Northern Fencing Super Late Models will race a 73 Lap feature with $2000 to win, in honour of Michael Parsons. 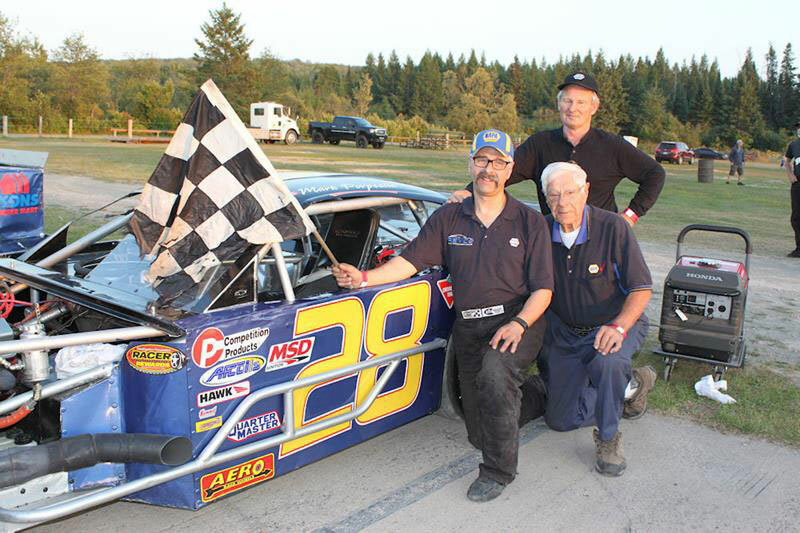 The Superior Truck Repair Michigan Modifieds will race a 66 lap feature, with $1200 to win, in honour of Ed Wellwood. The Great Lakes Bus Tours Factory Fours will race twin 33 lap features (full invert), with $300 to win. The Northland Auto Body Factory Stocks will also race twin features of 36, and 37 laps. Saturday Racing action will be followed by a School Bus “Feature Race”, then to top off the weekend a DEMOLITION DERBY. Main grandstand gates open on Saturday at Noon, with opening ceremonies beginning at 3:00 pm. Should the Saturday show be rained out, we will hold the events on Sunday. Onsite basic camping is available at the track for the weekend. Parking for camping starts on Thursday. Micheal Parsons passed away on August 16th, 2016 at the age of 56. Ed Wellwood passed away on May 20, 2018 at the age of 42. Superior International Motorplex is located off Highway 17, east of Echo Bay, on Lake George Rd. Map and directions can be found on our website.